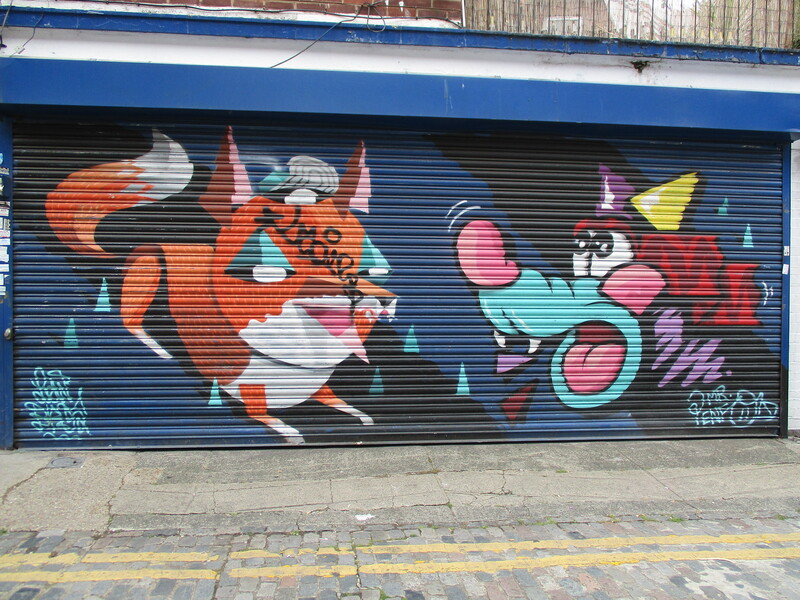 The duo were over for the opening of the incredible ‘LAX/LHR’ Group Show at Stolenspace, in association with Thinkspace, and whilst over decided to take the opportunity to paint there first London wall, having painted some shutters on a previous visit two years ago. 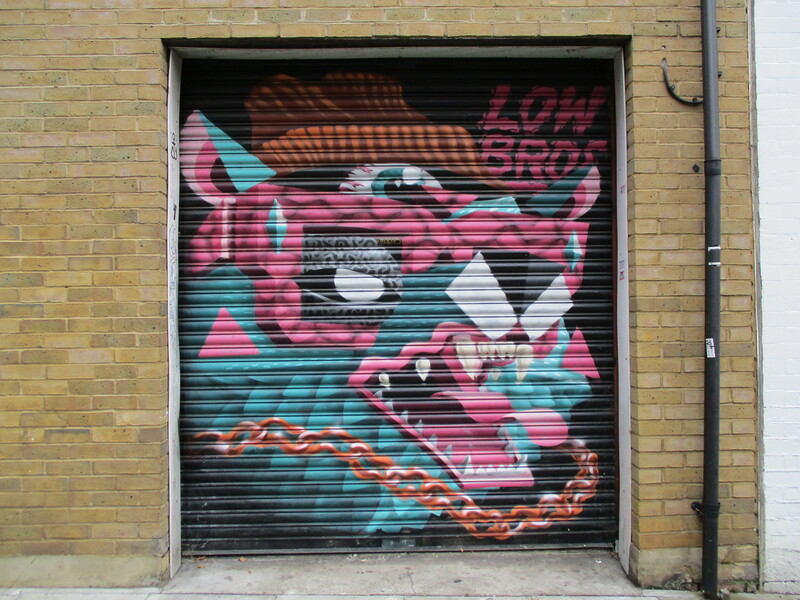 The Low Bros comprise brothers Christoph and Florin Schmidt, formerly active as graffiti writers Qbrk and Nerd. 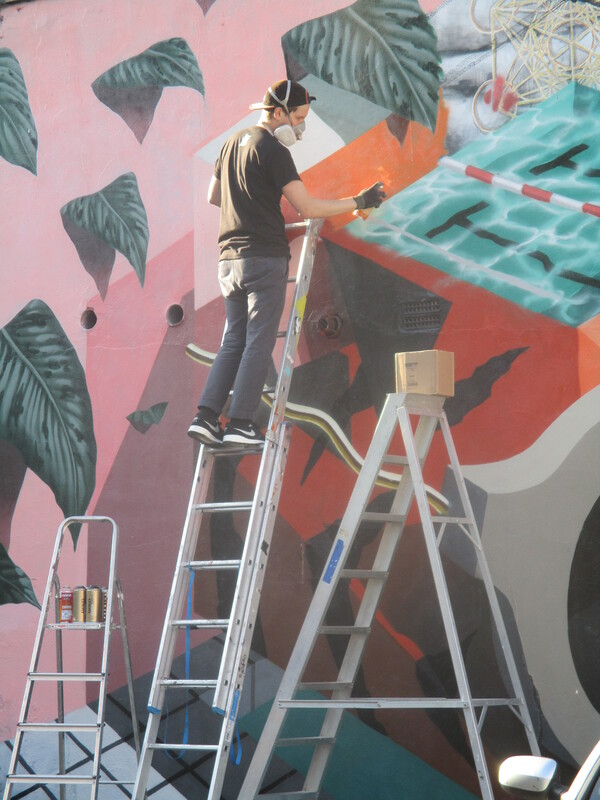 Their work typically focuses on stylized animal characters imbued with human features, fusing influences including graffiti, hip hop and skateboarding culture which shaped the artists’ youth. 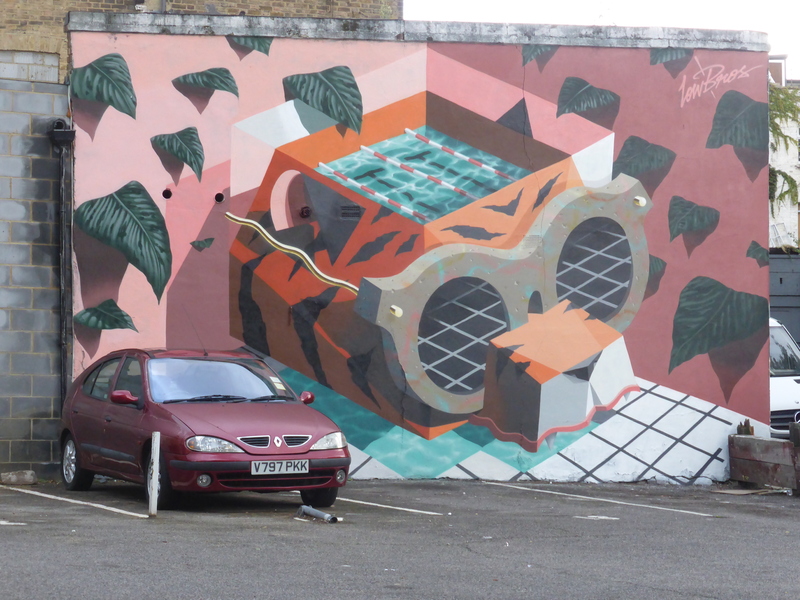 It is with this in mind you can gaze upon this incredible wall the duo created in Hoxton recently. 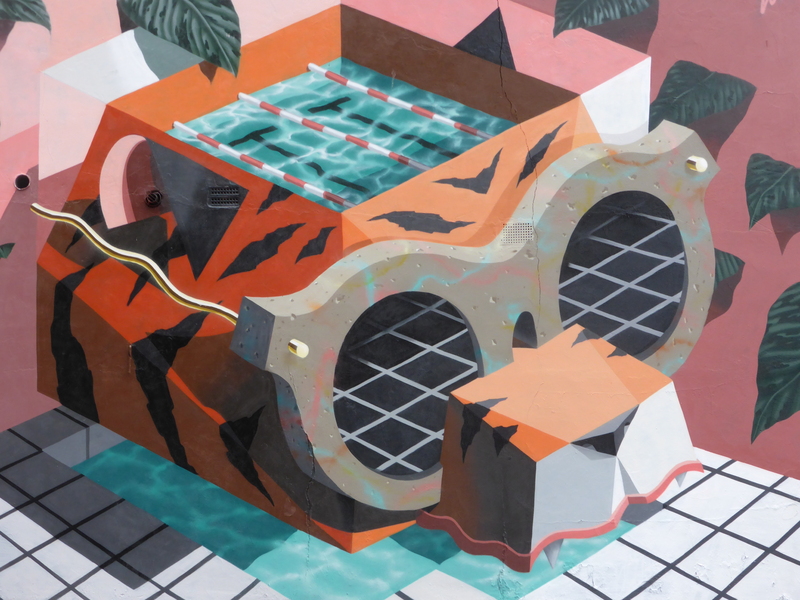 The piece features a Tiger sporting a pair of shades and encompassing a swimming pool in its head, floating above a second pool of water and amid a surreal 3D scene of serenity. 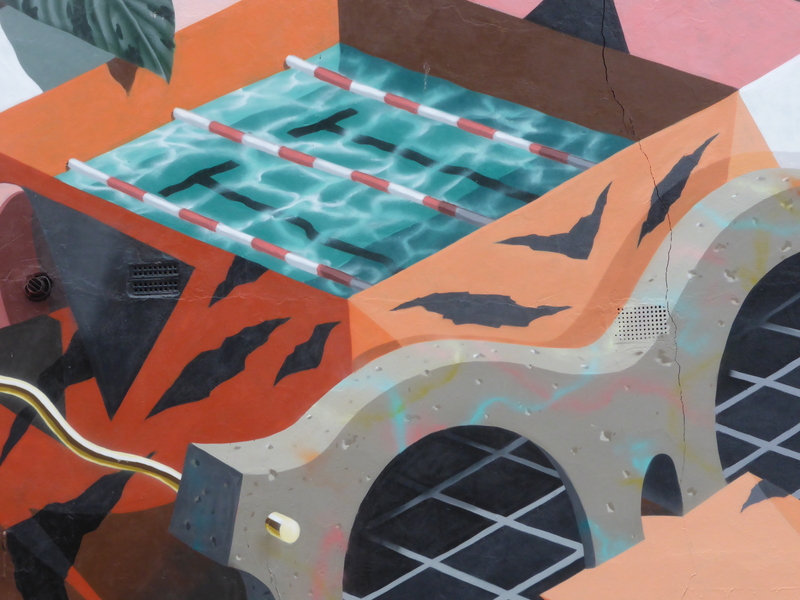 The level of depth in this work is magnificent, and so from any angle which you view it offering a combination of the centre piece appearing to be sucked into and bursting out of the flat surface which it resides. 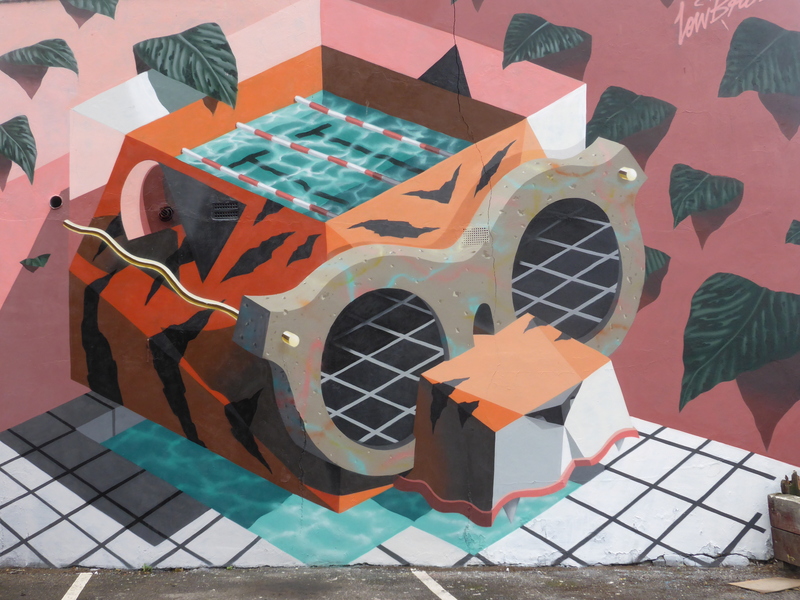 This wall was put up with support from The Hidden Streets Of London. 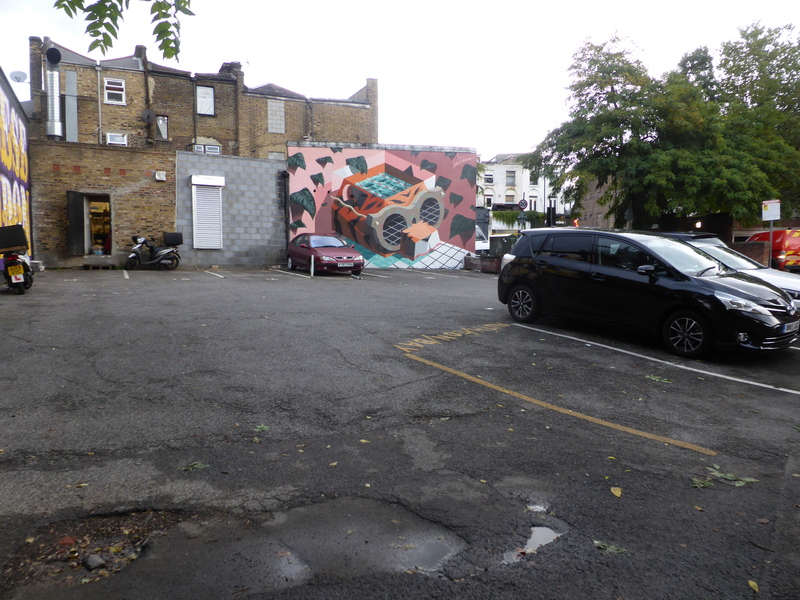 This work can be seen just off of Bethnal Green Road and was placed up two years ago now. 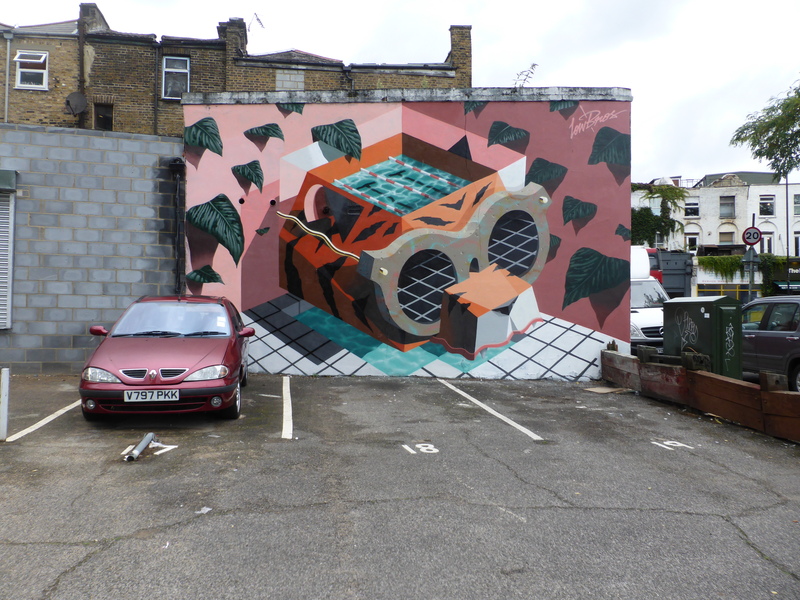 This work can also be seen just off of Bethnal Green Road and was placed up two years ago now.